Set amongst the Bukit Kiara hillside some 5 miles from the heart of Kuala Lumpur, the Kuala Lumpur Golf & Country Club was originally designed by Robin Nelson in 1991. Since then the course has gone through a recent redesign which was undertaken by Parslow and Associates who extensively reconstructed the layout over a period of eighteen months. The new West Course reopened for play in October 2008 with the East course opening two years later in 2010. Not even the bookies know who to make favourite this week or how some of the top players will be reacting after their efforts at last week’s Masters. I think Louis Oosthuizen 12/1 and Charl Schwartzel 11/1 will be emotionally out of it and so to will some of the others like Martin Kaymer 10/1, Alvaro Quiros35/1 and Simon Dyson 45/1 who didn’t play so well. Someone who will want to prove he should have been at The Masters and is this week’s defending champion is Matteo Manassero 14/1 I am going to discount his last outing at the Sicilian Open where he had to win in front of his home crowd to book a ticket to play at The Masters. The two tournaments before that he finished in the Top 10 and I think that form will come back to the fore this week. South African golf is going through a renaissance at the moment and as you will see I have gone for three of them this week. First up is double winner this season Branden Grace 50/1 who has gone off the boil since those wins, but I think he will start to come good again starting this week. 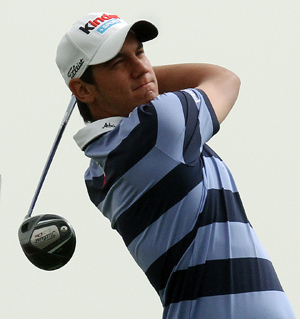 The second of the South Africans who I think could take the title here this week is George Coetzee 20/1. So far this year George has finished in the Top 25 in three of the six tournaments his has teed up in. He finished in the Top 25 fifteen times last season with eight of those coming in the Top 10. It’s not been the start to the season that Joost Luiten 45/1 would have been expecting after finishing so well last year. With seven Top 25 from his last 10 tournaments, five of those were inside the Top 10 including his win at the Iskandar Johor Open. Joost just seems to have one round that puts him out of contention, but I don’t think it is going to be long before he strings four good rounds together. If there was ever a player that hasn’t fulfilled his undoubted potential it’s Alexander Noren 66/1. Just when you thought he was going to propel himself into the top tier of golfers after his two wins last year at the Welsh Open and Nordea Masters, he seems to have shied away from taking that next step. 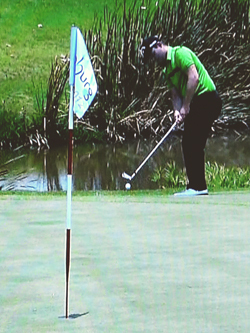 Hopefully after seeing his fellow Swede Peter Hanson come so close at The Masters will be the nudge Alexander needs. The third South African is Jbe Kruger 100/1 who has already won on the tour this year at the Avantha Masters and after getting over the obvious high, looked to be getting back down to work with a couple of 68s at the Trophée Hassan II and at these odds, it’s worth putting a couple of quid on him as an outside bet.